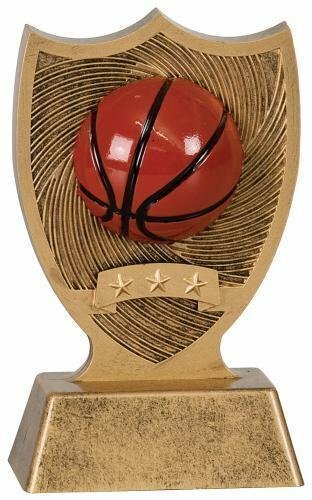 This figure is a 1-1/2" x 2-3/8" plastic football resting on the end of a gold ribbon of rising stars. 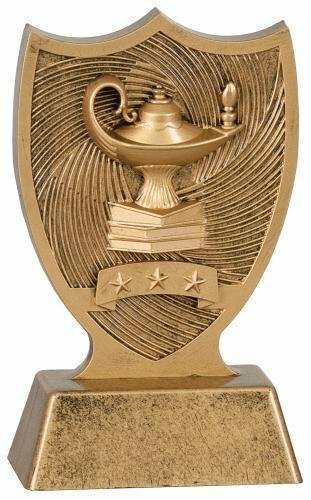 Mounted to a black plastic weighted base with room to personalize, this is a great way to honor your team of rising stars in football. 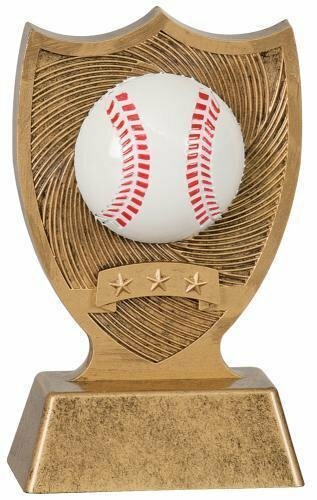 This 6" figure is a 1 5/8" plastic softball resting on the end of a gold ribbon of rising stars. Mounted to a black plastic weighted base with room to personalize, this is a great way to honor your team of rising stars in softball.